At ISA Staffing we get online registration for job applications from Estate Managers and Personal Assistants seeking work overseeing our clients job orders (see the job services listed). Many of you take advantage of this and our free consultation service. There is no fee for applying with our agency, so you are welcome to submit your information at any time. In the domestic help household work not only are Luxury Estate Homes involved, but Luxury Yachts, Luxury Sailboats, Private Airplanes, Luxury Cars, Luxury Travel and Luxury Goods, among other job criteria the Estate Manager or Personal Assistant oversees for their Employer. That involves knowledge of technology and software along with other advanced skills. 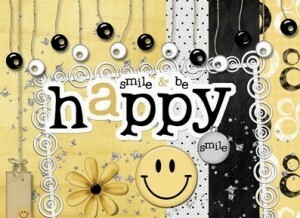 TIP for today: GET HAPPY! The most important thing you will do each and every day is Get Happy. Nothing in life is more important to you then this. If you are happy doing what you do, the rest falls into alignment with it. Daily practice of joy is the first and only job we truly have in life. Live your life in harmony with your greatest goodness. So simply put: GET HAPPY! Smile at everyone you know, see, and meet: every day. Our past clients are people who had and ran the best homes in the world, with the highest skilled staff necessary to maintain them we provided. To find the right person for these jobs through an agency requires a top agency! We are the top domestic help staffing agency. Our current clients want the same results and we give it to them. We currently have clients who want what is “best of the best” required to run their Luxury Estates, which are homes filled with the finest art and antiques or modern museum quality furniture, that an Estate Manager or Personal Assistant must know how to maintain properly. This does not merely involve restoration and preservation, it also requires a contact list already developed of who those best vendors are, and knowing how to search for the best people to work with top professional expertise. Enjoy learning and you’ll always maintain your passion for it! There are several TIPS we continue adding to Our Best Advice, so browse our other TIPS too, many are invaluable. We do it to assist you whether you’re registered with us or not (although we encourage you to do so to broaden your job search in the future whether you’re seeking one or not). I urge everyone to continue learning. Upgrade your skills in every criteria possible that involves working for High Profile and VIP clients. We know how important it is to stay open and continue to grow in being the best at what you do. We’ve been at it the longest under the same ownership, with the unsurpassed reputation as best of the best (as our gallery page of past clients further confirms). Keeping up with current and upcoming trends and latest tech is important for Estate Managers and Personal Assistants to keep Employers informed about our near future. We’re quickly heading into totally new technology, beyond most peoples knowledge. 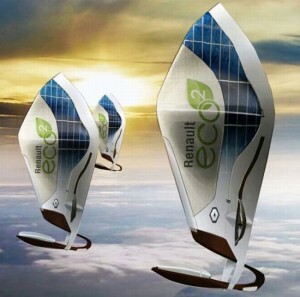 Luxury items like the “fly in the sky” eco sailboat Renault plans to unveil around 2015 is a great example. We can see clients who love sailing and ocean water sports line up to buy that sailboat as soon as it emerges. We have more clients who are millionaires/billionaires in the world today then ever before, and they will assuredly make their quality of life more robust with such fun luxury items. We are made to create, be creative, and enjoy the contrast of our new creativity. Make sure your boss knows that as the best Estate Manager or Personal Assistant, you stay on top of trends and the latest GREEN and Eco Friendly technology emerging. Eco friendly version of luxury goods is quickly becoming the standard criteria for reducing carbon footprints and having fun while doing it. TIP: As a top Estate Manager and/or Personal Assistant, you need to be ahead of the curve about the latest GREEN TRENDS so network to learn what they are, and browse daily online for the latest innovations applicable to your job. We do not charge a registration fee to jobseekers. If you have top skills and excellent references working for someone as an Estate Manager or Personal Assistant, please contact our office to register or do it online here today. We would love to get you your dream job, as we’ve done for so many jobseekers loving their work and doing it proudly!